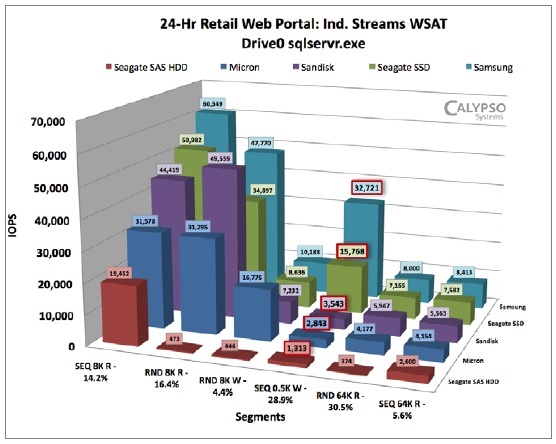 The tests in the paper represent a “bake-off” that runs the workload through four different SSDs and one SAS HDD, with results illustrated in numerous charts, one of which serves as this post’s graphic. The tests in the white paper are based on a simple program that can be downloaded to capture and analyze your own real-world workloads. It is available for free download at TestMyWorkload.com. and includes I/O capture, data analytics and real world workload tests. 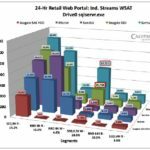 Once a system’s real world workloads has been captured it can be used to evaluate the different kinds of storage that the system administrator is considering using in the system. Give it a try. Visit the Test My Workload page to learn more.